A partnership between Microsoft and Johnson Control has produced a unique Cortana-powered thermostat with an attractive translucent display. The Cortana-powered thermostat was first revealed by Microsoft last year, and features a beautiful and unique translucent touchscreen display. The thermostat – known as GLAS – is a seriously high-tech device, tracking both indoor and outdoor air quality and adjusting indoor temperatures to match current conditions. As expected, the Cortana-powered thermostat will use the Cortana AI to display pertinent information and provide the capability for voice control. There are a number of devices that do things similarly to the Cortana-powered thermostat, and for far cheaper. With the $249 Ecobee with Alexa integration, you can enjoy similar power with less of a strain on your wallet when compared to the $319 price tag attached to the Cortana-powered thermostat. What makes Microsoft’s device stand out is the translucent display – providing a beautiful aesthetic that will fit in with pretty much any home environment. As smart home technology becomes more ubiquitous, we’re starting to see intelligent devices included more and more in the average home. However, the aesthetics and design of the home is important to many people, so new devices have to be both beautiful and functional. The translucent display of the Cortana-powered thermostat allow the device to blend in seamlessly with its surroundings, providing a classy and timeless look combined with the intelligence and voice activation capabilities courtesy of Cortana. There’s still the question, however, of whether revamped aesthetics and Cortana functionality is enough to warrant the rather steep price tag. Microsoft has yet to really break into the smart thermostat industry that is currently dominated by companies like Nest and Ecobee. There’s certainly a market for smart thermostats with a beautiful design, but is that enough to warrant paying around $60 more? That increase may be a drop in the bucket for those looking to add to their smart home environment, but it’s still a noticeable increase without a huge amount of added utility. Still, for those who are fans of Cortana, it may be well-worth the extra investment. As far as technical specifications go, the Cortana-powered thermostat runs using Microsoft’s Windows 10 IoT core operating system, and is powered by the Qualcomm Snapdragon 410E processor. Both WiFi and Bluetooth functionality are included, allowing it to integrate with your current smarthome system. GLAS will be far more than a simple thermostat, adding support for weather forecasts and other skills through a mobile app, browser, or Cortana voice controls – in addition to basic temperature adjustment functionality, of course. The Cortana-powered thermostat can be installed in both residential and commercial buildings, allowing both business and home owners to take advantage of this unique and convenient device. Chances are that your current 24VAC heating and cooling system will interface easily with the device, with support for most gas, electric, oil, radiant, and forced air systems. 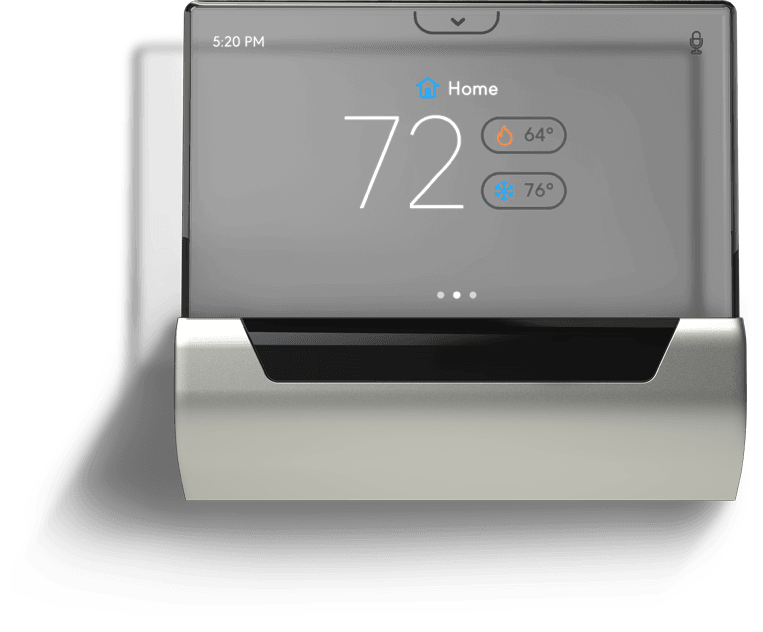 The Cortana-powered thermostat isn’t on the market quite yet, but you can sign up for a preorder notifications at the Johnson Controls website.